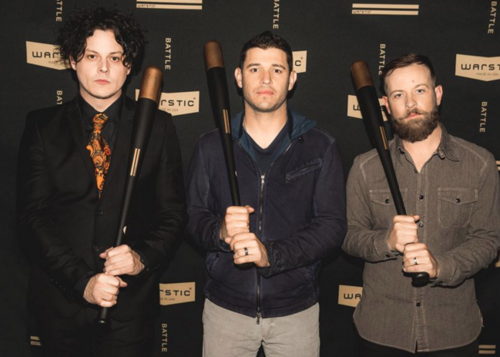 Musician and entrepreneur Jack White and Detroit Tigers' second baseman Ian Kinsler have become partners and co-investors in Warstic, an independent sporting goods company based in Dallas that designs wood and metal bats, gear and apparel for baseball and softball players, Rolling Stone magazine reported Monday. "I discovered the Warstic company through my love of design," White said in a statement, according to the article by James Montgomery. "I was drawn to…the simplicity and harshness of the designs. Most baseball bats and equipment in the sports world do not impress me much, but I think that there is a lot of room to explore aesthetic ideas in just baseball alone that can bring beauty and purpose to the weapons that athletes use to accomplish their goals." Jack and Detroit Tigers All-Star Ian Kinsler have teamed up to partner with Ben Jenkins for the independent sporting goods company. The company was founded by Jenkins, a former minor leaguer turned designer, the Rolling Stone reports. Warstic makes bats out of American Ash, Maple and Birch woods. Kinsler used a Black on Black Maple Warstic in his first game of the season this year, the magazine reports. He's the first pro player represent the brand in the majors. "Warstic is incredibly inspiring to me," White said, "and I think we can make beautiful objects for not only professionals, but also young children just beginning to understand how important the tools of the trade are to their passion for competition." Warstic is an independent, Texas-based, sporting goods company focused on The Art of Hitting. 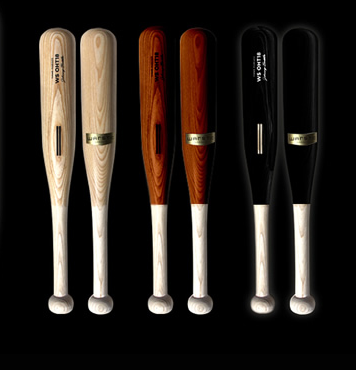 We design and build wood and metal baseball bats, gear and other provisions for baseball and softball players. Doesn’t matter what age, or level of play you are at. We respect one thing. The battle; finding the fight within yourself to face the challenge in front of you with grit. We try to inspire that spirit in every good we make. Hitting takes the calm mind and fearless nature of a samurai and the focus of a hawk. You gotta show up mentally. Hitting is certainly and art form when mastered, even if for only short bursts. You, the hitter, are the artist. We are just the craftsmen who work to make the tools you create with. To learn more about the company click here.